Published September 2018 by Tyndale House Publishers, Inc. 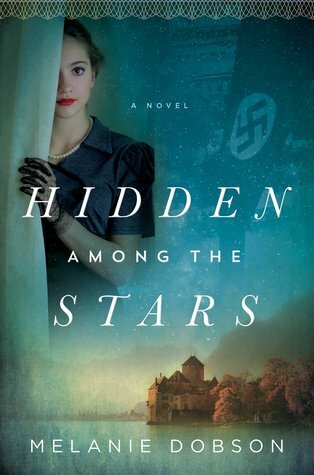 I have been reading a lot of historical fiction surrounding WWII, so when I saw reviews popping up for this book, I decided it would be one that I would enjoy. I am very glad I made that decision. The story is about the plight of the Austians after Hitler marched in and took over the country. Callie is a bookstore owner in small town America. When she receives an old copy of Bambi, written by Austrian Felix Saltern, she carefully looks over the book. Not only does she find the original owner’s name in the book, Annika, but she finds lists of valuables hidden among the pages. She is not able to read it, but once it is translated, it leads her on a journey to find Annika or her family to return the book. She also finds a picture of a man named Max that sends her in another direction. Meeting up with a professor that is heading to Austria to try and recover treasure dumped by the Nazis as they fled the allies, they form a bond that leads them both to Austria. There is a second book that also has important clues to the past. Charlotte, Callie’s foster mother of sorts, has had this book since she was a child dropped off at an orphanage in France during the war. In the second storyline, we go back in time to Austria in 1938, where Annika is the daughter of the caretaker of an estate in the lake region of Austria. The castle is owned by a wealthy Viennese family as their summer house. Annika is in love with the owner’s son, Max, but does he share her love? It seems Max is in love with a young Jewess, Luzia Weiss, who is in danger in this nazi occupied country along with so many others. Melanie Dobson weaves a marvellous tale of two times, separated by an ocean and 80 years. The lives of several characters are brought together by a simple children’s book. It is a story of the terror of the Nazi regime and the lives of the Jewish people devastated during the holocaust. It is also the story of what happens to those left behind and the generations that followed them. What happened to Annika, Luzia, Max, Marta and the rest of their families? I was captivated by this story and read it in a couple of days. It is emotional and gripping, and the characters will linger in your heart for a long time to come. It’s a novel about, as the author says, “ordinary people who resisted evil in their own extraordinary way”. A must read from intriguing start to compelling finish! All in all I found this book to be a remarkable story, recommended to all lovers of Historical Fiction, especially during the WWII time. The publisher, Tyndale House Publishers, Inc., generously provided me with a copy of this book to read. The rating, opinions and ideas shared are my own. About the Book (From Goodreads): From the award-winning author of Catching the Wind, which Publishers Weekly called “unforgettable” and a “must-read,” comes another gripping time-slip novel about hidden treasure, a castle, and ordinary people who resisted evil in their own extraordinary way. About the Author: Writing fiction is a fun excuse for Melanie to explore ghost towns and old houses, travel to unusual places, and spend hours reading dusty books and journals. 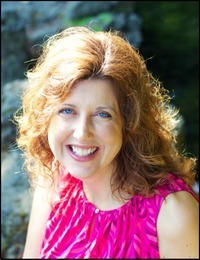 She writes both contemporary and historical fiction with threads of romance and suspense. Fascinating review. What a different approach to the struggles of that time period. This is a book I would love to read! It was quite good and the author blended the two timelines so well. I think You would enjoy it Linda. Glad you had the chance to read this one too! I read it a few months ago and loved it too! Thanks Becca, it was very good. I will definitely check out this author’s other books. Thanks Nina. It is amazing how many stories there are about this terrible time in history and the various ways the authors find to tell the stories. It really is incredible and I like that not all focus on the fighting. There are such wonderful stories about everyday people whose lives were affected. I agree, I want to read about the people. I loved your review; I think I would love the book, but Alas! So little time, so many books! Thanks Rae. This was a great book, but you are right, not enough time to read and enjoy all the other things in life. I hope everyone is feeling better now. Sounds like a really memorable book Carla. Wonderful review! Thanks Lynne, it was a very emotional one for sure.